Influenza is thought to be a highly variable virus, able to mutate and escape immunity built up in the population due to its circulation in previous seasons. However, influenza seasons tend to be dominated by a limited number of antigenically and genetically distinct influenza viruses. This creates a paradox as influenza is thought of as being highly variable while in reality influenza seasons are dominated by only a few strains. Mathematical models produced in Professor Sunetra Gupta’s group at the University of Oxford over the past 20 years have sought to find an answer to this paradox. Finally, through a collaborative approach across multiple departments, the group believes they have the answer, demonstrated in a paper published in Nature Communications. The research team theorized that parts of the virus targeted by the immune system are, in fact, limited in variability and act as constraints on the evolution of the virus. Dr Craig Thompson in Professor Gupta’s group has now identified the location of these regions of limited variability. He has shown that such locations are targeted naturally by the immune system and through vaccination studies has shown that regions of influenza viruses that circulated in 2006 and 1977 were able to protect against infection with an influenza virus that last circulated in 1934. The results of these studies can be exploited to create a novel type of ‘universal’ or broadly protective influenza vaccine, which once administered would provide lifelong protection against influenza. The team also hopes to apply the approach to other viruses such as HIV and HCV and believes that they can use it to produce a vaccine that protects against the common cold. The novel approach to vaccine design is outlined in the paper published in Nature Communications. Furthermore, such vaccines should be able to be produced in a low-cost manner, enabling healthcare providers such as the NHS to save money, unlike many new vaccines and drugs coming to the market. This study also presents one of the first examples of where a mathematical model of the evolutionary dynamics of an infectious disease has led to the experimental identification of a novel vaccine target. The novel approach won an MRC Confidence in Concept Award in 2016, a Royal Society Translational Award in 2017 and an ERC Proof of Concept grant in 2018. The WHO estimates that influenza kills 260,000-650,000 people and causes 3-5 million cases of severe illness each year. This burden typically falls on the elderly and young children, especially in developing countries. 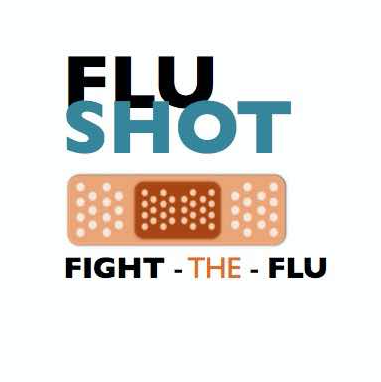 The best way to protect against influenza is through vaccination, although the problem with this is that the current influenza vaccine has to be administered each year and varies in its effectiveness. The paper ‘A naturally protective epitope of limited variability as an influenza vaccine target’ is available at Nature Communications. Read the blog in Nature Microbiology 'From a mathematical model to a new influenza vaccine'.